In the 2018 Deloitte Global Human Capital Trends Survey, the number of respondents who viewed people analytics as important for their organisation rose to an all-time high of 85 percent. However, only 42 percent of respondents saw their business as ready for this new age of 'people data'. At the same time, recent high profile data breaches have caused growing concerns about data protection, forcing HR professionals to re-examine their data management and confront employees' demands for transparency. 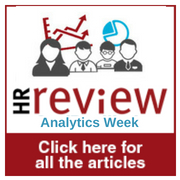 This focus week will explore these new trends in HR analytics and show how industry leaders have harnessed the power of HR analytics for their businesses. Go to the Special Edition home page here.